Entertain much? The joy of indoor-outdoor living takes on new dimensions when your generous homesite affords the opportunity for exciting rear yard spaces that will make you the envy of your friends. You'll be wowed by the culinary charms of the gourmet kitchen and by great room spaces that will remind you what great is. Thanks to sizeable half acre homesites, your new home has plenty of room to breathe. Escape to an optional casita, or just throw open the great room doors and let the fresh air drift through the home's flowing open floor plan. 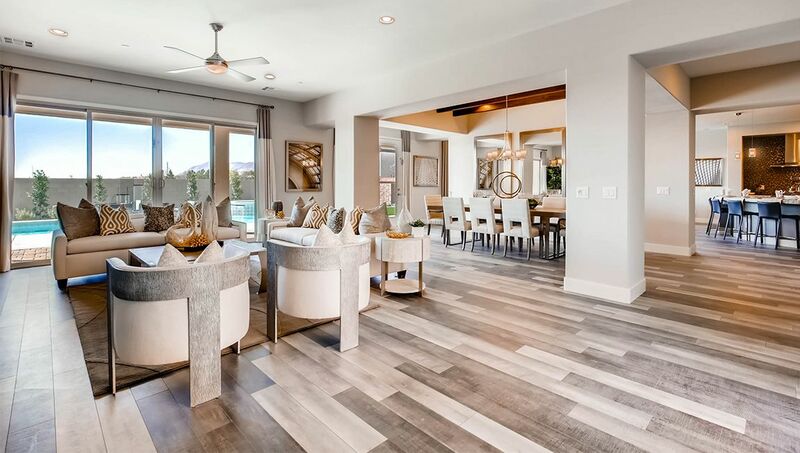 Surrounded by the Southern Las Vegas Valley, Heritage Estates is a gated neighborhood that's close to excellent schools, shopping, dining and entertainment. It's the lifestyle you've been waiting for, and it's now selling in Heritage Estates. Contact a Sales Agent and schedule a visit today.